Courtney Aldrich is a chemist, an associate professor in the Medicinal Chemistry Department at the University of Minnesota’s College of Pharmacy, and the Editor-in-Chief of a newly launched journal, ACS Infectious Diseases. As a result, he has little time for outside hobbies. But the one hobby he allows himself still involves his professional interests. In his office, Aldrich keeps a 500-liter saltwater aquarium filled with exotic fish. (His favorite specimen: a porcupine pufferfish.) Saltwater aquariums are notoriously hard to maintain. When a fish gets sick with a bacterial or parasitic infection, he applies his knowledge of infectious diseases and treats them with an appropriate anti-protoazoal agent or antibiotic. “There’s a lot of water chemistry involved, which reinforces my general chemistry. I must ensure optimal parameters including dissolved oxygen, ammonia, nitrate, pH, ORP, salinity, and temperature,” Aldrich says. Aldrich also has a new, custom-built lab at the university’s newest research building, the Microbiology Research Facility. The lab’s primary focus is designing new antibiotics for tuberculosis. Its research will save lives: tuberculosis has overtaken HIV as the leading cause of death by infectious disease. 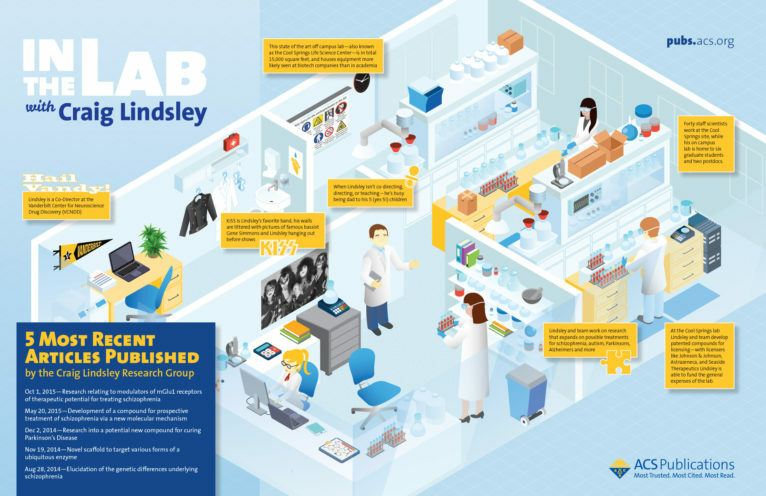 The lab is home to two postdocs and six graduate students. Current projects are aimed at developing antibiotics that block mycobacteria’s ability to obtain iron, an essential micronutrient; the metabolism of biotin, which is required for bacterial persistence in vivo; and the biosynthesis of mycolic acid, a hallmark mycobacterial lipid that is up to 80 carbons in length and provides a permeability barrier that shields the bacteria from environmental stress and provides intrinsic resistance to many antibiotics. The Microbiology Research Facility clusters other principal investigators with similar research interests in close proximity. Although Aldrich’s lab is the only chemistry lab in the building, he is surrounded by other scientists studying infectious diseases. “I am incredibly excited about this opportunity to be immersed in microbiology,” says Courtney Aldrich.